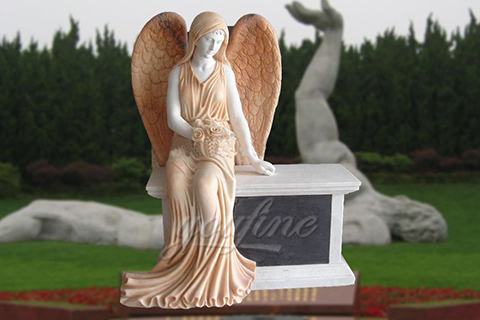 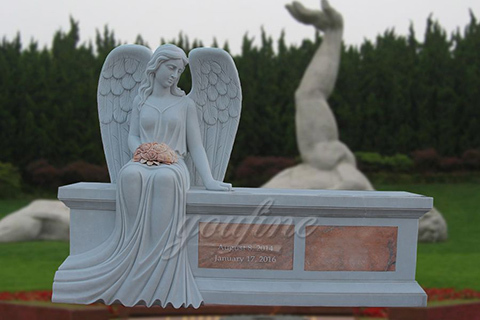 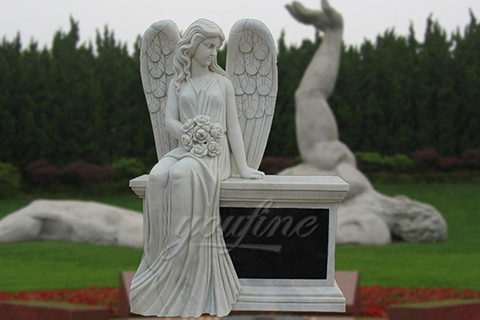 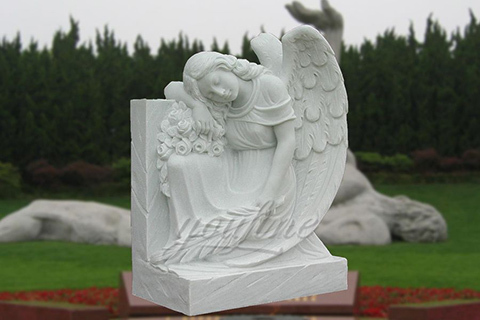 Angel statues for graves memorials design is a beautifully sculpted headstone of an angel sitting on the tombstone with flowers. 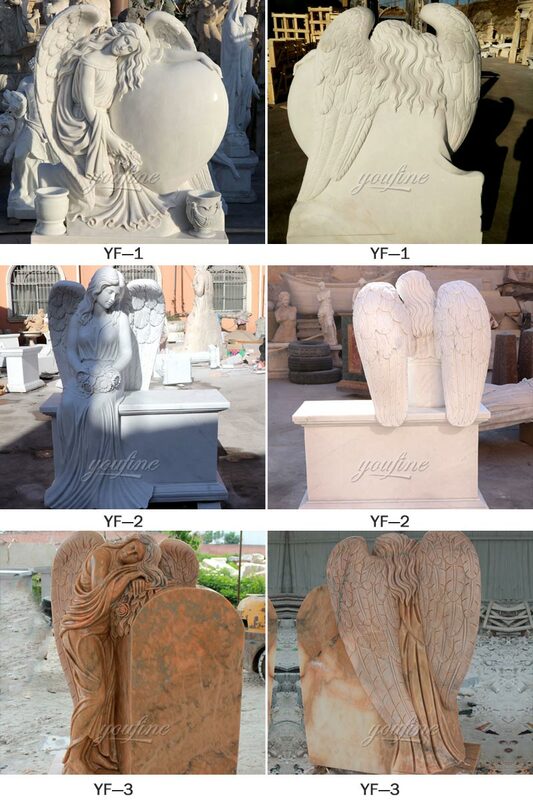 The angel is fully carved on all sides. 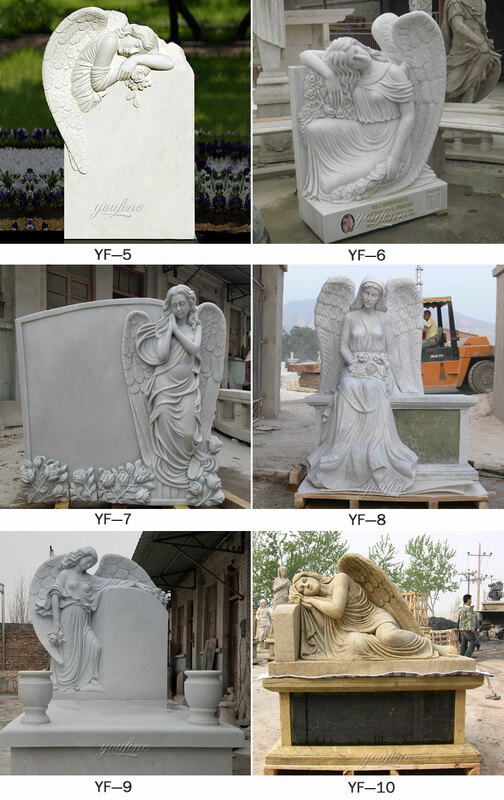 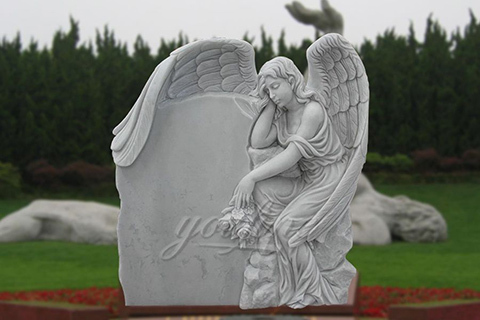 For more than 30 years experience of marble angel tombstone memorials making, we have served the needs of all kinds of believers, often in the most difficult periods of their lives.